What to Do After a Bike Accident - The Law Office Of Richard J. Banta, P.C. One of the scariest events a bicycle rider may encounter at some point in their life is being hit by a vehicle. This can not only be painful, but shocking and disorienting too. It can be hard to keep your wits about you after being struck. How you respond at the scene can influence the overall outcome of the situation. Here we have answered some common questions about what to do if you are involved in a Denver CO bicycle accident. How important is calling the police? It is crucial that you call the police and wait at the scene for them to arrive. The police officer can evaluate the driver to determine if they are under the influence of alcohol or drugs, and perform an arrest if necessary. Depending on the situation, the officer may choose to ticket the driver as well. What should I say to the driver who hit me? Even in the midst of a tense situation, try to remain calm. Do not negotiate with the driver and do not permit them to leave the site. Do not talk about who is to blame, do not accept blame and do not make any accusations against the driver. You may be tempted to be angry and vent at the driver for hitting you. Focus on getting medical attention and try to be cordial. If the driver senses your hostility, they may attempt to flee. Do I have to get medical attention? Every bicycle rider who is hit by a car should receive medical attention. Some cyclists do not even know they have been seriously injured until the hours or days following the accident. Even minor injuries left untreated can develop into more complex problems. Will the officer take a statement from me and the driver? In some cases, the officer will only take a statement from the car driver. Ask the officer to take your statement as well, including your specific injuries. If you decide to file a civil lawsuit against the driver, an accident report can be helpful for your bicycle accident lawyer. Should I get the driver’s information, even if the officer took it down? Yes, if it is possible you should still get the driver’s name, phone number, address, license plate number, vehicle type, vehicle license number, and insurance company. It will be helpful for you to have this information when you report the accident to your own insurance company. What if there are witnesses nearby? Ask witnesses if they are willing to give you their contact information. Never assume the officer will be complete in the accident report to include witnesses. It may help your Denver CO bicycle accident lawyer down the road to have witnesses who are unbiased and do not know you to support your side of the story when you were hit. Many cyclists choose to get legal advice after an accident. They may want to know more about what their rights are and if filing a civil lawsuit is a great option for them. 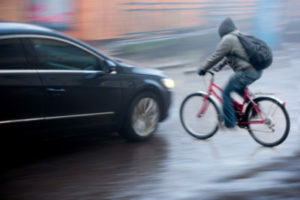 A bicycle accident lawyer Denver CO clients recommend can provide advice, representation, and guidance if you decide to seek financial compensation for injury costs from the reckless driver.